Jump to the Changes ! PMI provides global leadership in the development of standards for the practice of the project management profession throughout the world. One of their significant accomplishments is the Institute’s evolving standards document – A Guide to the “Project Management Body of Knowledge (PMBOK® Guide)”. PMBOK® Guide is a globally recognized standard for managing projects in today’s marketplace. In September 1991, the PMBOK® Guide was honored as a formal American National Standard by the American National Standards Institute (ANSI). PMI is committed to the continuous improvement and expansion of the PMBOK® Guide , as well as the development of additional standards. This standard gets an update roughly every four years. The first draft content was developed by Project Management Training Institute (PMTI) Instructor and Expert, Max Wideman under the name “PMBOK”. Later this was updated to a “guide” and thus, in 1996, PMI published the first PMBOK® Guide. 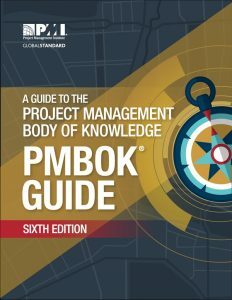 The PMBOK® Guide is the most widely recognized standard by project managers across the world and provides guidelines that are industry neutral and can be applied across a wide variety of disciplines, industries, experience levels, budgets and timelines. Why and how often does the PMBOK® Guide change? PMI published the first edition of the PMBOK® Guide in 1996 which was based on the earlier work of PMTI expert, Max Wideman. Since the profession of project management is evolving based on recent theories, ideas, ideologies and philosophies, it becomes necessary to update the Guide to the Project Management Body of Knowledge as well. Thus, PMI updates the PMBOK® Guide roughly every four years. Thus, there was a 2nd edition in 2000, a 3rd edition in 2004, a 4th edition in 2008, and a 5th edition in 2013. What change occurred in the previous PMBOK® Guide editions? Each of these editions included changes. Some editions had minor and some had major improvements. PMTI Founder and CEO, Yad Senapathy, who was one of the leaders of the 5th edition development team and a significant contributor says, “The 5th edition incorporated a much needed and seeming apparent miss – the stakeholder management into the PMBOK®Guide. The guide now expands its emphasis on the fact that processes alone can’t run a project, people do”. Each of these PMBOK® Guide edition release causes a major shift in the PMP Exam and the Certified Associate Project Manager (CAPM)® exam including the quality and the type of questions exam takers encounter. The 6th edition of the PMBOK® Guide is due to be released in 2017 and includes some significant changes to reflect the current industry trends. New to the Sixth Edition, each knowledge area will contain a section entitled Approaches for Agile, Iterative and Adaptive Environments, describing how these practices integrate in project settings. Detail on agile and other adaptive and iterative approaches will also be included in an appendix. More emphasis on strategic and business knowledge, including discussion of project management business documents. Information on the PMI Talent Triangle™ and the essential skills for success in today’s market. 1. Integration of Agile principles : Each knowledge area will contain a section entitled Approaches for Agile, Iterative and Adaptive Environments, describing how these practices integrate in project settings. Manage Project Knowledge : this process serves to expand the idea of managing information within the project from raw data to integrated information to knowledge and to decision making wisdom. Implement Risk Responses – This fills the gap that existed between the 5 planning processes and the one monitoring and controlling process group that have existed within Risk Management. Control Resources – There was the process “Manage Project Team” in the previous editions but this process addresses the assessment of actual versus planned usage of equipment, material, supplies, AND human resources. The change of “Project Time Management” to “Project Schedule Management”. 5. Closing Procurement is closed out from PMBOK® Guide: As several project managers do not have the authority to close contracts and/or procurements and thus, the actions that are related to closing procurements have been rolled into control procurement. 6. Addition of Emerging Trends and Practices: PMI has stretched the PMBOK® Guide to include not only generally accepted good practices, but, also emerging tools, trends, techniques, and practices. The PM Studio™ System is a hybrid project management approach combining “old school” waterfall techniques with new age agile principles.